With a built-in phone, finding the right button takes your eyes off the road. State Reps. Andy Olson of Albany, Dan Rayfield of Corvallis, and a few other legislators want Oregon to get tougher on distracted driving caused by handling mobile phones. But their bill on that issue has problems, and it’s not clear that passing it would have the desired effect. Olson, a Republican, is one of three chief sponsors of House Bill 2597. Rayfield, a Democrat, is among the cosponsors. Their bill would expand the existing ban on using hand-held cell phones while driving. It would cover any “mobile electronic device” and prohibit its use not just for calling and texting but also for entertainment, navigation, accessing the Internet, and emailing. But the ban would not be “limited” to those uses. It would cover anything else for which a mobile electronic device could be used. And the maximum fine would be $2,000. Distractions have many causes, as we all know. As for phones, using the systems permanently installed in your vehicle can be far more distracting than answering a call on a mobile. 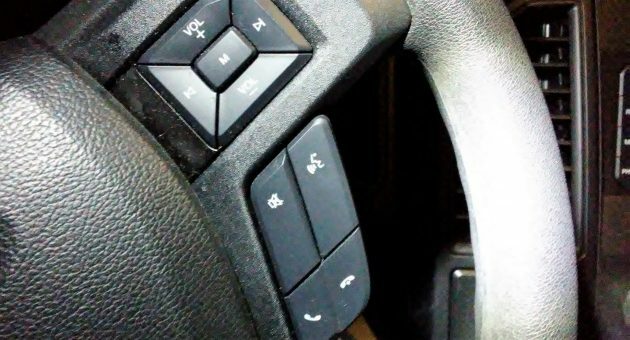 Unless you use your car phone all time, when a call comes in you have to figure out which button to push. That takes your eyes off the road for seconds at a time, whereas you can easily keep looking out the windshield while reaching for a mobile and lifting it to your ear. With that in mind, lawmakers might be tempted to prohibit the use of any electronic communication device while driving, not just mobile ones. But that would make all but useless all those newer cars and trucks with touch screens built into the dash. So they won’t even try that. What’s the problem exactly? Albany Police Sgt. Robert Hayes testified for the bill on behalf of the police chiefs’ association, suggesting it would help cut down on wrecks. But another witness produced Oregon motor vehicle accident tables from 2014. They showed there had been more than 51,000 crashes that year. In only 272, or one-half of one percent, was a driver’s use of a cell phone identified as a contributing circumstance. A thinly veiled attempt at new revenue sources. Besides we all know trying to read a map resting on your steering wheel is so much safer than a navigation app that gives voice directions. Damn right. A couple years ago I rented a Chevy Spark whose radio (or whatever they’re called nowadays) had the most incredibly counter-intuitive and difficult user interface I’ve ever seen. It was like playing a video game; I had to hit the right buttons in the right sequence within a certain time limit just to change the volume, or else it switched stations instead (or something like that). It had a phone-like screen with no actual knobs or buttons, but this one was far worse than other knobless radios. Radios kill, just like cell phones. What is the solution? I don’t know except that it’s going to take a lot more than just telling drivers what they can’t do with their gadgets. Of course, in my ideal city, there won’t be any cars; barring that, no drivers except in amusement parks. You’re right, Hasso. We have become an over-regulated, over-legislated society. Too many laws just move us toward fascism and police state. If it’s not essential, don’t put it into law. Prohibit navigation? Stupid. Putting an address into the phone/tablet/GPS device and having audible turn by turn directions saves lives over people trying to navigate via paper maps. Why stop there? It’s at least as distracting to eat and/or drink while driving, or even worse, have two kids in the back seat while driving. We clearly need to ban ALL distracted driving. Why? Well, the last such occasion was when I was driving to KGAL near Lebanon one morning and the station called me to warn that the county was repaving the road in front of the station, making access from Highway 20 impossible, and advising me to take another route. To get such calls is the reason to have mobile phones. It wouldn’t make sense to turn them off. This is ridiculous! I never answer my phone while driving, or text… but the GPS ban is stupid! This is just a ploy to get more money into the coffers. Don’t mess with our freedoms! Radios and the like shouldn’t be banned. What about people who don’t live here? Are they going to get tickets because they use their legal GPS system while driving through our town? And filming traffic is my guarantee that if I’m in an accident, my version will be seen and believed. You need to rethink this! I’m all for safety, but not at the expense of freedoms. I’ve lived here quite a while, and you guys have messed up the streets so much that I can barely get around, let alone someone visiting. Just keep the status quo, give tickets for talking on the cell phones, and leave the rest of us be! I’d be all for the ban but there should be no exemptions. That is, police, UPS drivers, truckers and etc., should not be exempt. Bottom line is if you’re not going to enforce the law it becomes another useless law on the book, of which there are far to many already. Have seen distracted driving done by cops trying to type whole driving, why should they get an exemption they are just as dangerous, maybe they need two officers in the car now.